Above and beyond conventional concrete staining, Metallic Marble Stains give you the colorful, three-dimensional look of marble floors for a much lower price. 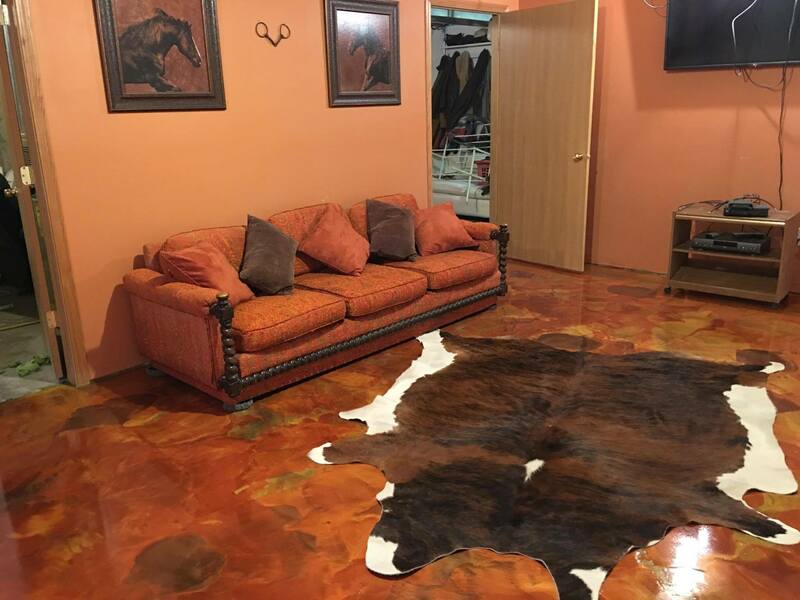 Combining concrete stains with colorful metallic additives and a proven installation process, Artistic Concrete Design can transform your concrete floor into a colorful space like no other. One of the hottest interior flooring systems on the market, Metallic Marble creates a high-end, sophisticated look for a surprisingly affordable price. For the sophisticated look of marble without the high cost, Metallic Marble is the right choice. There are many Metallic Marble color options to choose from, including using multiple colors on the same floor to get a quality three-dimensional look in one seamless, decorative floor. 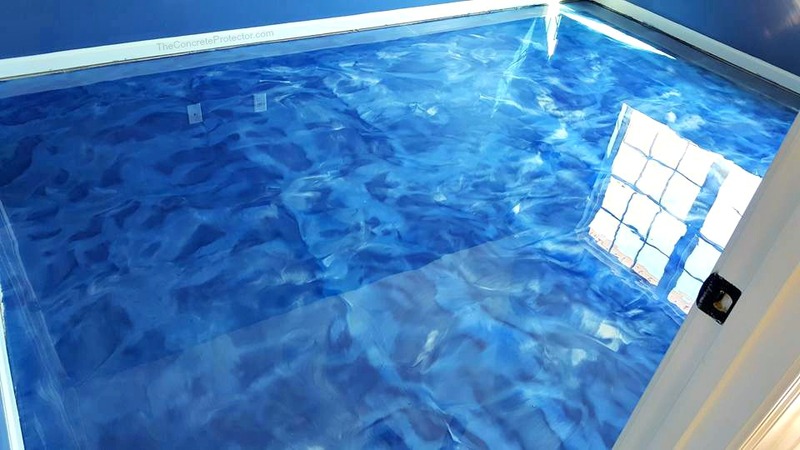 Epoxy flooring is perfect for basements and other moisture dampened areas. An excellent solution for retail spaces, auto dealerships, shopping malls, medical offices, sports arenas, restaurants, and more! Metallic Marble Stains are a seriously amazing flooring option that works in virtually any environment. 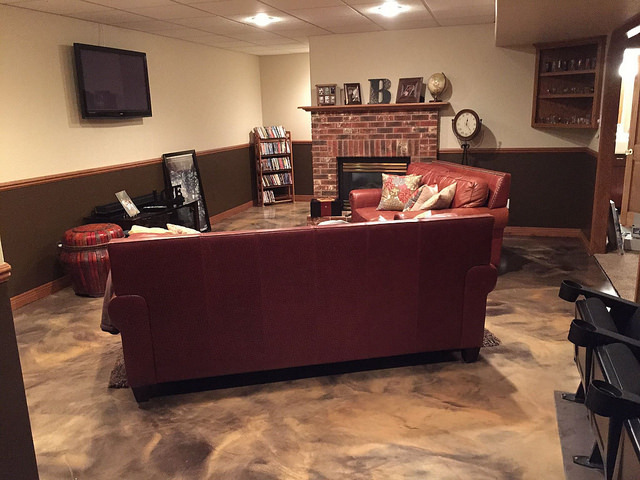 Our Metallic Marble Flooring system is our most popular basement flooring design. With a wide variety of colors to choose from and additional satin finish to recreate the look of real marble, Metallic Marble Stains have all the benefits of epoxy flooring with the addition of colorful, three-dimensional designs. Many homeowners favor this flooring system for their home. Check it out for yourself and see why. EASY TO MAINTAIN; simply wax your epoxy floor once every 6-12 months to keep it looking brand new. EASY TO CLEAN; perfect for families with kids and animals – just wipe up the mess and don’t worry about potential staining. UNIQUE & CUSTOM; no two floors that are the same. 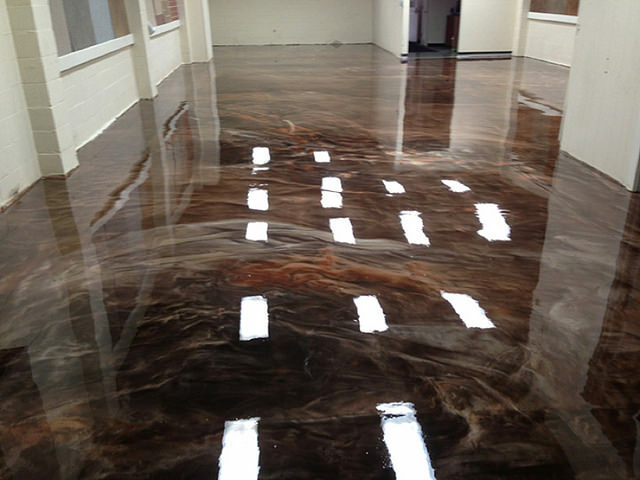 Each customer has their own custom epoxy floor unlike any other.